Does “their fire shall not be quenched” in Isaiah 66:24 really allow for a fire that consumes and then goes out? Or is there a serious challenge to this claim that we have not seen before? Adam Blauser, a blogger over at Old Testament Studies Blog has been giving us some free rent in his mind of late and has invested a bit of time responding to blog entries here at Rethinking Hell. In his first response Blauser takes issue with my article about the meaning of apollumi in the synoptic gospels. He grants the fact that the term means literally kill and destroy in the examples I discuss but insists that this does not literally inform the word’s meaning when it is used to describe final punishment, for it is wrong to assume that the word there carries the meaning that it universally carries in grammatically similar instances. This is because hell is an eternal matter and we can’t assume that words carry their normal meaning, the meaning they have in normal speech discussing natural matters, when we are speaking about the affairs of the age to come. I responded in the comments section over there and while the argument isn’t substantial enough to warrant lengthy comment here I shall describe it very briefly: Scripture speaks literally about eternal matters with the same language that we use in normal speech about natural affairs all the time. When it comes to apollumi—which, as I showed, in grammatically similar contexts always carries the strong meaning of literally kill or destroy—and the subject is final punishment, the only reason we would have for resisting a natural meaning for that word is if we began by assuming that there is something about final punishment that is not compatible with literal destruction. But how else are we to know what scripture teaches about final punishment if not by learning from the terms that it uses to do so? However, in a second article on annihilationism, Blauser maintains that he has discovered and provided solid linguistic proof that we have made a mistake when interpreting Isaiah 66. As this is a more falsifiable claim, I was curious to have a look at the evidence. In short, although Blauser invests some time and space reproducing what he takes to be good evidence in fairly technical detail, his claim turns out to crucially depend on assumptions about Hebrew verbs that are simply incorrect, namely, that the form of the verb used in Isaiah 66:24 cannot have a passive meaning due to its stem. In fact, once we review the evidence we find that it only offers further support for our conclusion. Here’s a recap of what we said and an explanation of Blauser’s responses, each one followed by my assessment. And they [i.e. “all flesh,” see verse 23] shall go out and look on the dead bodies of the men who have rebelled against me. For their worm shall not die, their fire shall not be quenched, and they shall be an abhorrence to all flesh. Although it is common for Christians who believe in the eternal torments of hell to quote this passage as though it supported their view, even at a glance it appears to do no such thing. In the first place, and most importantly of all, the people who are referred to here are not alive in torment; rather these are dead bodies being eaten by maggots. They are “those slain by the LORD” (v. 16). If this passage can be taken to describe the last judgement in literal terms at all—and of course it may not—it teaches annihilationism. The reason some people regard this as teaching eternal torment is that the writer says that the fire “will not be quenched.” However, as Chris Date pointed out here at Rethinking Hell, there is a difference between a fire being quenched, which indicates that it is extinguished or put out, and a fire that simply comes to an end because it has consumed what fueled it. The fire in Isaiah 66 is not quenched—that is, nobody puts it out, which means that it is allowed to carry on burning until it has completely consumed the bodies of those described who rebelled against God. The verb used in Isaiah 66:24, kabhah, often means quenched or put out in the Hebrew scriptures, and so there is nothing at all in Isaiah 66:24 to suggest eternal torment. The people are already dead, and nothing is said about the fire lasting forever. Blauser expresses concern that in spelling out this argument Chris Date didn’t delve into the difference made by the stem of a verb. Stems are different forms of the same Hebrew verb that typically carry distinctive but related meanings. The simplest form of this verb is kabhah (when bh sounds like the letter v), which is in what is called the Qal stem (pronounced ‘kahl’). The Qal stem is the most common stem for Hebrew verbs. Different stems carry different shades of meaning for the same verb. However, says Blauser, although stems “can change the meaning of the verb” and are therefore important, “Date’s argument does not take that into account, and I believe that not doing so is fatal to his position.” Fatal, he says. It undermines our argument entirely. So what would we learn by taking verb stems into account, such that it would override the observations which Chris made? For one, no interesting facts about verb stems can overturn the observation that the objects of divine judgement in Isaiah 66 are described as corpses or carcasses. This is because the word translated this way is not a verb and has no stems. It is the plural form of a construct noun (בְּפִגְרֵי, “the carcasses of”). Even if we were to grant everything that Blauser says about the verb for “be quenched” In Isaiah 66:24 (and we do not), the passage, if it explains the nature of final punishment at all, still clearly supports the annihilationist view because it portrays the enemies of God as having been slain in judgement. It might seem strange that the fire would keep burning forever afterwards, but we could not conclude that the subjects of divine wrath are alive in the fire. So a foray into verb stems is not “fatal” to the position that Isaiah 66 speaks of the death of God’s enemies rather than the eternal torment. But Blauser still thinks that Chris and those who have made the same observation are mistaken in reading the phrase “their fire shall not be quenched” in this way—so mistaken, in fact, that this failure to properly appreciate verb stems is “fatal” to our position—or at least our position on what this phrase means. Specifically, Blauser raises two arguments based on verb stems. I will lay out those two arguments now, with a response following each one. First, he claims that because the Qal and Piel stems are the only forms of this verb that are used in the Hebrew scriptures and these stems are active, the verb cannot take on a meaning of “to be quenched” (which is passive, as it describes something being in a state of having something done to it), that they must have an active voice, “to quench [something]” or “to go out.” Second, and dependent upon the first, he further argues that when we look at the examples of how the verb is used in the Qal voice it is “monovalent” and therefore, since it is an active verb that’s monovalent, it must refer in Isaiah 66:24 to the action of the fire (going out) rather than to the action of an agent (who quenches the fire), since no agent is present. Both of these arguments fail, insofar as they depend on mistaken claims about Hebrew verb stems. Argument 1: There is no stem used for kabhah in the Old Testament that can suggest a passive meaning. Blauser makes his two arguments in a way that might appear to be cramming a lot of terminology about linguistics and a generous helping of Hebrew typeface into a relatively short space. It looks like a case of blinding the audience with science, so to speak. However, when all this is stripped back, the first argument is actually very simple. 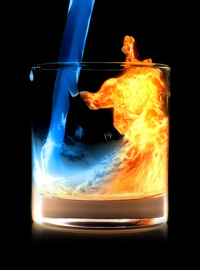 According to Blauser, depending on which stem is used כָּבָה could mean “go out” in the sense of die out, as a flame does once all fuel is consumed, or “put out” in the sense of how one might quench or extinguish flames with water from a hose. Both of these meanings are active insofar as they refer to the action completed by the subject rather than to something which is done to the subject. One might object at this point that I have left out the meaning “to be put out.” The reason why I have done so is because that is a passive verb. כבה is only found in the Qal and Piel stems in the Hebrew Bible, and the Qal and Piel stems are active stems, not passive stems. Now, I should say, there is such a thing as a “Qal Passive,” but the Masorites usually pointed it as either a Pual or a Hophal [see the form of at Genesis 2:23]. Hence, in the MT, whenever the Qal pointing is used, it is dealing with a “Qal active,” and that is the only form found for כבה. Assessment of the first argument. Allow me to explain. 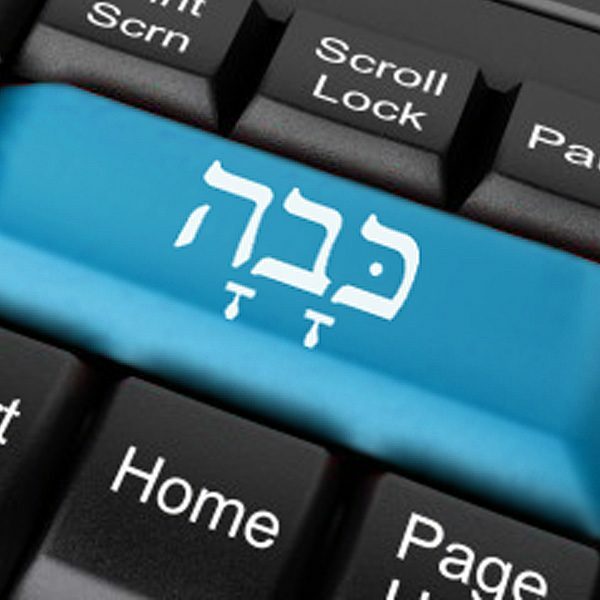 In an undergraduate class in biblical Hebrew the first things that one learns about Hebrew verb stems are, first, how to form and write them and, second, the characteristic effect that each stem has on the meaning of the Qal. For example, the Qal stem is referred to as the “simple” and it typically just means that the subject did something and not really anything more. So he walked, he ate, he prayed and so forth. Whatever the most simple, stripped down meaning of a given verb is, it will be expressed via the Qal stem for that verb. As Pratico and Van Pelt note, “From the Qal stem all other verbal stems are formed. For this reason, the Niphal through Hithpael stems are called ‘derived stems’ because their forms are derived or based on the Qal stem.”1Gary D. Prattico and Miles V. Van Pelt, Basics of Biblical Hebrew: Grammar (Grand Rapids: Zondervan, 2001), 123. Here’s how this works (and I’ll use just three other stems to illustrate the point). The Niphal stem takes the Qal (e.g., simple שָׁמַע, “he heard”) and makes it either simple passive (נִשְׁמַע “he was heard”) or simple reflexive (“he heard himself,” where he and himself are indicated by the form of the verb, spelled the same as the simple passive). There are other stems, like the Hiphil (the causative active, taking a Qal verb X and making it mean “to cause to X”), the Hophal (the causative passive, taking a causative like “he made (someone) king” and making it mean “he was made king,” a useful example given by Pratico and Van Pelt), and lastly the Hitpael (intensive reflexive, which effectively takes the Piel and makes it reflexive, so one is said to perform an intensive verb on themselves—although the Hitpael is also sometimes passive). Here is the point of all of this, which Blauser does not seem to appreciate. Characteristically passive stems do not exist in order that passive verbs can exist. It’s not the case that, for example, if the Niphal, Pual, Hophal or Hitpael stems did not exist then no verbs with passive meanings could exist in Hebrew. Instead, the other stems modify the meaning of the Qal stem in the manner specified; for example, the Piel modifies the Qal and makes it intensive, and the Pual in turn modifies the Piel and makes it intensive passive, relative to the meaning of the Qal stem. It is certainly true that many verbs have no way of conveying a passive meaning except by being used in one of the passive stems. But if the verb in the Qal stem already has a passive meaning, then there would be no point in Hebrew speakers or writers developing a Niphal stem version of that verb in order to express a passive meaning. This is why I said earlier that Blauser is conflating meaning and stem. He has assumed, erroneously, that if there is to be a verb with a passive meaning then it must be a verb in a characteristically passive stem, which is not the case at all. In short, he has grossly oversimplified, imagining that all verbs in the Qal must convey an active meaning, and presumably all verbs in all other stems are strictly limited to one kind of meaning. But are there any verbs in the Qal stem that convey a passive meaning, “to be Xed [by somebody / something]”? In fact there are. Here are a few. vb. be complete, finished — Qal 1.be finished, completed; the writing of words; building of temple; fulfilled, ˊי’s command (by obedience); as auxil. + vb. fin. = completely, wholly, entirely, תַּמּוּ נִכְרָתוּ were wholly cut off; סָפוּ תַמּוּ entirely consumed; sq. ל inf. תַּמּוּ לעבור were finished in regard to, etc., i.e. were entirely passed over; להמּול entirely circumcised. 2.be finished, come to an end, cease: the year; the years of ˊי have no end; days of weeping. 3.be complete, of number. 4.be consumed, exhausted, spent: silver; strength; lead; bread; fruit; rust. 5.be finished, consumed, destroyed: people. 6.be complete, sound, unimpaired, ethically. 7. twice, very strangely, si vera l., trans. : תמנו we have completed. A few examples in the Hebrew scriptures illustrate this. Jeremiah 6:29, “The bellows blow fiercely; the lead is consumed (מֵאֵשׁתַּם, Qal perfect, combined with the noun for “fire,” so that the one word means “consumed by fire”) by the fire . . .” Notice that the fire is the agent, and the lead is acted on by the fire. For this verb there is very little, if any, difference in meaning between the Qal and the Niphal or the Pual, because the Qal conveys a passive meaning. One more example, גָּבַהּ (gabhah). Yet again in the Hebrew scriptures the closest thing we have to what would normally sound like a simple meaning for this verb is actually the Hiphil, where “cause to be exalted” means the same thing as “exalt.” (Remember the Hiphil is the causal version of the Qal.) The Qal stem here means “to be exalted,” which conveys a passive meaning. A few examples will suffice to show this. These are in the Qal stem and carry a passive meaning. The same is true of the other examples in the Hebrew scriptures as well. The reader is invited to check further examples of all these verbs, but those considered here are enough to make the point. We can now very comfortably put to rest the claim that a verb cannot convey a passive meaning (like “to be put out”) if it is in the Qal stem. Blauser was clearly unaware that a number of verbs in the Qal can and do convey a passive meaning, in spite of the Qal stem itself not being specifically passive. If they are already passive in meaning in their Qal form, they do not need a passive stem to make them convey a passive meaning. As his first argument depended on the claim that a verb cannot have a passive meaning in the Qal form, his first argument has now been fully addressed and found to be unsound. [כָּבָה] vb. be quenched, extinguished, go out, of fire or lamp — Qal be quenched, extinguished (c. neg. ), of lamp in sanctuary; of altar-fire; of bodies of renegade Israelites (cf. גֵּיא בֶן־הִנֹּם); subj. אֵשׂ fig. of contention; fig., subj. fire kindled by ˊי; subj. wrath under fig. of fire (אֵשׁ); so of burning land of Edom; of annihilation of Yahweh’s enemies. Pi. quench, extinguish, fig. except (of extinguishing lamps, נֵרוֹת, in temple); sq.נֵר יִשְׂרָאֵל (fig. for like of David); sq. גַּחַלְתִּי (coal = family-hope) (of killing widow’s only son); sq. פִּשְׁתָּה כֵהָה dimly– burning wick (fig. of spiritually weak); implied obj. ref. to wrath of ˊי; to people and idols; sq. love אַהֲבָה (subj. מַיִם רַבִּים). Notice that all of the meanings for the Qal stem of this verb listed here are passive. The Qal means to be extinguished while the Piel means to extinguish, according to BDB.2This is perfectly compatible with the lengthy quotation that Blauser makes from Bruce Waltke and Michael O’Connor, who drew on E. Jenni’s work arguing that the Piel is really a kind of causative, indicating the causation of a state signified by the Qal. In the case of כָּבָה being the Qal, this would indicate that the Piel means something like “to cause to enter into the state of being extinguished,” which is to say, “to extinguish,” precisely as BDB says. We’ll look at some examples when considering the second argument. Argument 2: The argument from monovalence. What exactly is monovalence? Here, too, Blauser presents the argument in somewhat technical terms, but the concept is actually very simple. The mark of really understanding your subject matter is that you can express it in everyday language if this is possible—and in spite of the concentration of terminology used here, this argument is fairly simple and can be stated in everyday terms. What Blauser is claiming is this. Since כָּבָה is in the Qal stem and so is active, when it refers to a thing being acted on (the object) it requires an agent who is performing the action (the subject). As always, the verb is performed by the subject rather than the object. (Indeed, this is precisely the distinction between subject and object.) So, Blauser claims, כָּבָה cannot be a verb that is performed by the object on which the action is performed. Since the verb must be active, and so can mean “put out” or “go out” but not “be put out” which is passive, it would not make any sense to think that the verb means “put out” in Isaiah 66:24, or else the sentence would not mean anything sensible: “Their worm does not die and their fire does not put out.” Their fire does not put out what? We could say “John will not put out the fire,” where there is a subject of the verb (John) and an object of the verb (the fire), but if there is no candidate for an object (so the verb is “monovalent,” having only a subject), then the meaning, says Blauser, will be “go out” and so Isaiah 66:24 means that the fire will never go out. Blauser draws on a number of other verses to reinforce this claim, which I will look at shortly. This of course is all well and good for verbs that do not have a meaning that is passive in nature, and which also do not have a passive form to make them passive in nature. It is true that in the phrase “their fire is לֹא תִכְבֶּה” there is only one entity in view, the fire, so this is indeed the subject. But the argument as a whole simply inherits the flaw of the first argument, namely, it assumes that there is no passive meaning to be found in the Qal stem so we are limited to considering how the verb works in the sentence with an active meaning. This is simply not how stems work. In fact, as we saw earlier, this verb in its Qal form has a primary meaning that is passive! In going through the examples that Blauser provides to demonstrate the truth of his second claim, we will see that they fail to do so, and they instead support the contention on all Hebrew lexicographers. We will see that the second claim is false and כָּבָה in the Qal stem, in practice, has a passive meaning. Blauser cited all of his verses in Hebrew, but as the point should be made in the clearest manner possible to as many readers as possible, I will quote from an English translation in each case (using the ESV unless otherwise noted), and discuss the Hebrew terms as needed. Here our translators give us “it shall not be quenched.” (לֹא תִכְבֶּה) This is the Qal stem, imperfect mood and, for good measure, the verb is feminine. The subject of the verb is Edom. Young’s literal version helps readers to see this by including the gender of the verb for the English reader to see: “She will not be quenched.” A number of claims are made about Edom: first, her streams will be turned into pitch, second, her soil will become burning pitch (similar to tar), third, she will not be quenched, and fourth, her smoke will continually rise. Here the verb conveys what is obviously a passive meaning in our English translations: To be quenched, rather than to quench. This meaning makes good sense. If someone were to scream, “I’m on fire! Put me out!” we would know exactly what they meant. They would be asking us to do something—which involves an active verb on our part. (In fact, our action would be described vie the Piel stem, “to put out”). Once we have done this, once we have put them out, then they would rightly say, using the passive voice, “Thanks, now I’ve been put out.” In Isaiah 34:10, “quenched” conveys this same thought in the negative: Edom will be burning, and she will not be put out. Nobody will save her. Blauser is right about two things. Yes this is a Qal stem, and yes the verb is monovalent, as it has a subject (Edom) but no object. I think Blauser errs in identifying the “burning pitch” (זֶפֶת בֹּעֵרָה) as the subject of the verb, but that matters little. He is correct that the verb does not mean “to put out,” for it would make little sense to say that Edom “would not put out.” Put out what? It means, instead, that Edom, who is burning, will not be put out, and this is exactly what our translators have given us, a passive meaning of “to (not) be quenched.” The meaning is passive, it makes perfectly good sense as a verb without an object, and the verb relates to the subject, as it ought. Again, the first step is to find the subject of כבה. Again, there is only one option for the subject, and that is חֲמָתִ֛י. Does wrath, with fire being used as a metaphor for it, go out, or does it put something out? Quite clearly, it goes out. Hence, we have the experiencer of the verb “to go out” as the subject. Also, consistent with our pattern, this is a Qal stem. Once again, Blauser is right that the subject here is the thing that experiences the verb. Indeed, that is precisely the nature of passive verbs. The subject experiences them (or in this case, will not experience them), rather than peforms them. The subject (God’s wrath) will not experience being quenched. For who can fight back the wrath of God? Again, our first step is to find the subject. Again, it is feminine and singular, and the word directly after it, לַהֶ֣בֶת, fits the bill perfectly. Now, again, what is going out would be the subject, and hence, the experiencer of the verb. All of these facts fit with the notion that the verb means “to go out.” However, this is a Qal stem, so our pattern is still holding. The entire second argument for Blauser has been like a disastrous long mathematical equation: If you make one mistake at the start (getting your understanding of the effect of verb stems wrong), and the rest of your work depends on that mistake, you are wasting your time. There are in fact numerous verbs that have a passive meaning in the Qal stem, including the verb that all of our English translators have translated as passive in Isaiah 66:24. In short, our claim about the meaning of Isaiah 66:24 is correct (as indicated by the death of God’s enemies in that passage), and our interpretation of the meaning of “their fire is not quenched” is not only highly plausible, but thanks to the evidence that we have had the opportunity to peruse in response to the claims of Blauser, we now know that our proposed meaning of לֹא תִכְבֶּה is the meaning demanded by Hebrew lexicographers and by the consistent (practically uniform) usage of the Qal stem of this verb throughout the Hebrew Scripture. Perhaps we should thank him! In any event, it is gratifying that he is studying our material, and we look forward to his next installment. Granted, he allows “to go out” as well, but the first meaning he offers is “be quenched” and he wants to combine the meanings, so that it means either be put out by overt action or die out naturally. (kābâ), q. be extinguished, go out; pi. extinguish, put out, quench (#3882). ANE There are no cognates apart from Jew. Aram. OT The vb. occurs 24×, 14 in q. 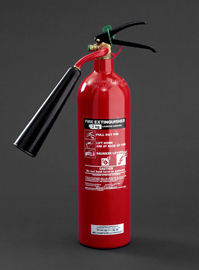 Literally it refers to the extinguishing of fire (Lev 6:12–13 [5–6]; Prov 31:18; Isa 34:10). Two-thirds of the occurrences are metaphorical, referring to either the snuffing out of life (Ezek 32:7) or to God’s wrath and judgment, which is unquenchable. The latter sense occurs most often. “Therefore, this is what the Sovereign Lord says: My anger and my wrath will be poured out on this place, … and it will burn and not be quenched.” (Jer 7:20; see Amos 5:6; Isa 1:31; Jer 4:4). LXX כָּבָה is mostly translated in the LXX by σβέννυμι (#4931). kābâ occurs twenty-four times, thirteen in the prophets. The root also appears in Arabic with the same meaning. It always relates to fire and to the act of putting a fire out. So there are in fact seven lexical sources that I provided to Blauser, and more that I did not (as indicated by Professor Mariottini’s article). It is a shame that Blauser did not revise his claim about what the lexicons say, choosing to instead withhold the comment where I provide that information. I confess that I have a hard time taking seriously the claim that such tactics are a good example of somebody’s best attempt to be humble in the face of what he thought was another person’s incompetence. Issue the second: What do the scholars actually say? Blauser seemed fairly adamant that my observations were rejected by Hebrew scholarship. Although at one point he appeared to think it inappropriate to take my lead from a Hebrew scholar, he clearly gives the impression that the field of Hebrew scholarship is on his side. Unfortunately there is a tendency in such arguments for the person invested in a strong claim to read authorities as if they strongly support his or her position when in reality they do not. “It is quite common for young Hebrew students to think in the way Peoples is writing here,” Blauser says, but we’ll know better once we learn a bit more. I am simply ignoring real scholarship, Blauser maintains, and “either Koehler-Baumgartner, Waltke/O’Conner, Jouon/Muraoka, Van Der Merewe/Naude/Kroeze, Jenni, and Goetze are all wrong, or Glenn Peoples is wrong.” The reality, however, is that the first source (Koehler-Baumgartner) was matched by seven sources provided by me, which Blauser did not reveal to the reader, and the remaining sources that Blauser lists do not even register disagreement with my modest observations, so it is a false dilemma to say that either they are wrong or I am wrong. None of the sources that Blauser cites offer any support for the claim that a Qal verb parsed as active cannot convey a meaning that we would normally regard as passive. Padding out a graceless attack with the names of scholars does not make the attack more reasonable. As was indicated in a note at the top of the article I wrote, it was sent to a couple of scholars for their take on it. They were Professor Claude Mariottini and Professor David Instone-Brewer, and both concurred with what I had to say. However, in light of Blauser’s strident denial of what I was saying and his claim that it represented incompetence, I sought the view of others. (Remember, I had already provided the evidence. What I was seeking here was corroborating opinion.) I made contact with several well-known Hebrew scholars to see what they had to say. Not all of them had a lot to say, and some of my questions went unanswered, which is quite understandable given the schedule of a sought-after scholar. Is this assessment correct? Is it true that there are some Qal verbs (while not many) that in their ordinary perfect or imperfect form, parsed as active, properly convey a meaning that to our English-speaking ears naturally sounds passive (e.g. to be lifted up, to be deceived, to be completed, to be quenched etc)? Or does this analysis misunderstand something? I believe you have assessed these verbs correctly. . . . [B]ased on usage you have made the right assessments. After all, it is usage that decides. As you have observed, the Qal stem does have truly passive forms in certain of the conjugations even though we think of the Niphal, Pual and Hophal as the real passive forms. And yet, there are some verbs in the Qal stem that translate with a passive nuance. Lexicographers and the like are correct to identify them as they do but, of course, they seldom provide comment pertinent to your inquiry. Some of these verbs belong to the stative category and thus have the sound in translation of passive voice but, in fact, are simply describing the state or condition of the subject rather than communicating a true passive sense. Probably, however, the majority of Qal verbs that translate passively are functioning like deponent verbs in Greek. These, of course, are well-known. So the bottom line, so to speak, is that there are Qal verbs that translate as though they have been inflected in the derived stems that are inherently passive. In this instance, you can be confident in your lexicographers. [Emphasis added]3I don’t pretend to know much about Greek and will leave the reader to depend on others for any explanation of deponent verbs in Greek. It’s important to remember that nobody here is saying that in some instances Qal verbs are passive verbs and would be called passive in our parsing guides. If for class you’re asked to parse the verbs in any of these instances or other similar examples and you call the verb “passive,” you’ll be marked down! The point, as Williem VanGemeren adds, is that when translating these verbs “there is a range of meaning in English [sic; in this discussion it is evident that Hebrew was meant] that dynamically (not literally) may be rendered by the passive in English.” In order to reproduce the same idea, which is what dynamic translation is all about, the passive voice in English is the appropriate way to convey the meaning of these verbs. Comparing the last two sets of remarks illustrates that varying degrees of confidence which Hebrew scholars have in making this claim (e.g., Practico makes the claim much more strongly than VanGemeren does), but the fact that some Qal verbs can be used to convey what in English would be a passive concept is widely accepted. Professor Maiottini has now provided more information in support of this observation. Issue the third: Does Dr. Peoples not know about stative verbs? In response to numerous examples that I provided of Qal verbs which, despite being parsed as active, convey what we would normally regard as a passive meaning, Blauser claims this only reveals further incompetence on my part since all of these are stative verbs and they are therefore not passive in meaning at all. 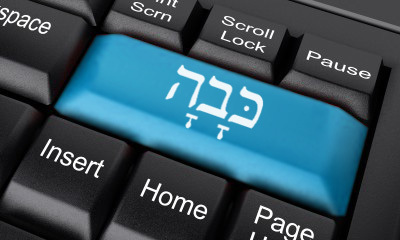 I have decided to write more about this elsewhere simply because the various ways that Hebrew can express the same idea is an interesting one, but there are a couple of issues of fact that should be addressed here. In the first place, not a lot would be at stake even if all of the Qal verbs that fall into the category I am discussing were stative verbs. A stative verb is one that expresses the fact that a thing or person is either in or entering a state. Stative verbs have a sort of adjectival quality to them, so to speak, because they tell us what a thing is like (in the sense of “what state is it in?”) rather than telling us directly that someone or something did something. This is easy to describe in English. To “be heavy,” for example, is expressed by a Hebrew verb (כָּבֵד) but it tells us what state a thing is in, not what anyone did. Verbs which tell us what a person did are called fientive verbs. However, there are times when a stative verb, despite not meaning that a thing was acted on (which is what a passive verb indicates), nevertheless clearly conveys this to us. For example, if a person enters a state of being beaten, this typically indicates that a thing or person beat them. If a man enters a state of being deceived, this indicates that someone (perhaps even himself) or something deceived him. Some states by their nature require something to be done. One further example: If a fire enters a state of having been extinguished (supposing just for the moment that Isaiah 66:24 really does use a stative verb, as Blauser claims), this indicates that someone or something extinguished it. And so even if I was so entirely uneducated in Hebrew as to be unaware of the existence and function of stative verbs, little would change here in relation to the meaning of Isaiah 66:24. But as it turns out, I am not so uneducated as all that. While preparing my article (“What the Qal?”) one of the questions I considered was whether or not the verb for “be quenched” here was a stative verb, as some stative verbs translate quite naturally as “to be X” (be great, be heavy). However, I did not settle on that position since the evidence does not obviously support it. The Hebrew behind the words “shall not be quenched” (לֹא תִכְבֶּה) is identical to the ordinary Qal imperfect fientive verb. Blauser now points out that it is also identical to the stative verb. (He adds that the final segol, the ‘e’ sounding vowel, is present because of the final he consonant, which is quite beside the point.) Although that is true, it raises the question: Given that this verb looks exactly like the ordinary fientive verb, why suppose that it is a stative verb? There is no visible evidence that requires us to do so. The same is true of other examples which I provided in this article: they all look exactly as they would if they are not stative verbs, and hence the charge that I have incompetently failed to appreciate the existence and function of stative verbs is untrue. There is no reason to assume that these must be stative verbs if we already appreciate, as lexicographers and Hebrew scholars do, that sometimes Qal verbs simply do convey a meaning that we would quite sensibly called passive, as does Isaiah 66:24. Their fire will not be put out. Another way to approach the question of whether or not the verb is stative is to ask whether or not an agent can be supposed. Passive verbs suppose that the verb can be carried out by an agent. Here are two passive examples: To be killed is to be killed by someone. To be deceived is to be deceived by someone. Even if no agent is stated, the fact that an agent may be supposed suggests that the meaning being conveyed is passive. By contrast, a stative verb does not suggest an agent. To be heavy is a state you may be in, but nobody performs the action on you. To be great is to be in a state, but it is not to be acted on by anybody. For a fire to be quenched in fact quite naturally suggests an agent, since it is quite coherent to add what is implied in Isaiah 66:24 like this: Their fire will not be quenched (by anybody). While perhaps not determinative (few pieces of evidence, on their own, can be determinative), this factor lends weight to the conclusion that what we have in Isaiah 66:24 is a verb that conveys a passive meaning. So in spite of the unexpectedly strong reaction to some fairly humble observations that we can all check—and (if I may say so with some regret) in spite of the spite!—the claims made in this article certainly withstand the criticisms that Blauser has made. And notwithstanding the acrimonious response, I was genuine in my closing remark that I really am pleased that he has taken an interest in what we have to say at Rethinking Hell, and I hope that it may yet be of some benefit to him. 1. ￪ Gary D. Prattico and Miles V. Van Pelt, Basics of Biblical Hebrew: Grammar (Grand Rapids: Zondervan, 2001), 123. 2. ￪ This is perfectly compatible with the lengthy quotation that Blauser makes from Bruce Waltke and Michael O’Connor, who drew on E. Jenni’s work arguing that the Piel is really a kind of causative, indicating the causation of a state signified by the Qal. In the case of כָּבָה being the Qal, this would indicate that the Piel means something like “to cause to enter into the state of being extinguished,” which is to say, “to extinguish,” precisely as BDB says. 3. ￪ I don’t pretend to know much about Greek and will leave the reader to depend on others for any explanation of deponent verbs in Greek.